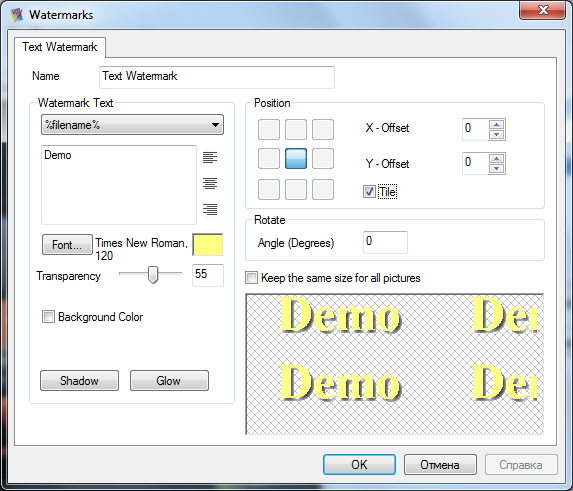 Best Photo Watermark Software Download. One of the best photo watermark software on the market is the Batch Picture Protector. Digital images are protected with the added transparent watermark and there is more! When you use it with image editing software, the watermark can even contain tour your website URL or copyright. This photo watermark program is ideal for banner makers and designers sending proofs and copies to clients for evaluation. Most people have had a bad experience with "stolen" property and unauthorized use of intellectual property and artwork. The software will protect image copyright for anyone publishing images on the web. It is a very easy to use program and compatible with most image formats and versatile in the loading and saving of a variety of watermarks. The watermark text includes date and time as well as other important information you want to add. 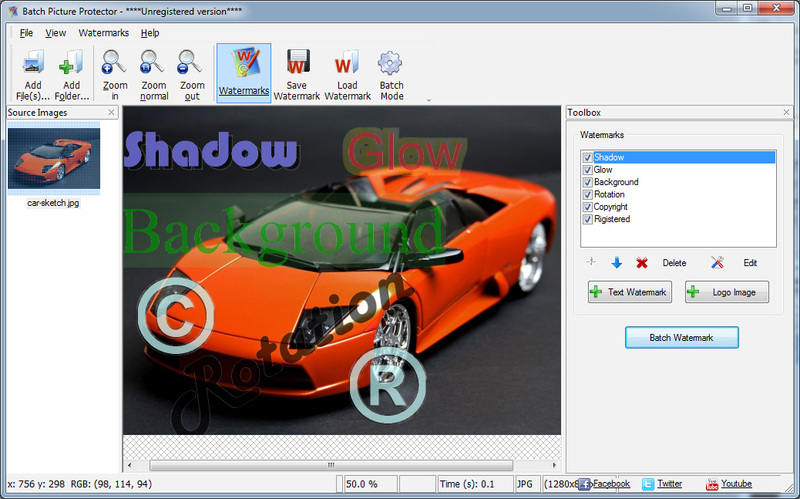 Adjustable transparency settings make it ideal for those who do not like an obvious watermark. You may think others can download a software program that removes watermarks and defeat the object. The plus point with the Batch Picture Protector is that the permanent watermark is irremovable. All digital images are effectively protected, simple and fast. Simple user-interface with an easy download with simple steps to follow on how to watermark a photo and you are set to go. It is an easy to install and uninstall program with onscreen instructions where any Windows XP, Windows ME, Windows 2000, or Windows 98 can launch. After watermarking your picture, image, or artwork to be published or sent for approval by a client, you can save the watermarked image in a file in a different format if you choose. After purchase, the Batch Picture Protector comes with unlimited email support, unlimited usage, and free upgrades to minor versions. Upon purchase, you receive your registration key and the program can be used with a personal license, 2 personal licenses or business licenses.